Yesterday, my “good husband” card required me to follow along with my wife on a trip to a Deptford Walmart. We chose the store located on Clements Bridge Road, right off of Route 42, which is a mostly straight shot up 42/676 to Philadelphia just a few miles away.While looking through the holiday product section, I noticed a somewhat large area dedicated to sports team decorations… and in this approximately 15 foot section I saw nothing but New York team merchandise. C onsidering that this Deptford store is only FIVE miles from the Lincoln Financial Field where the Eagles play, this seemed odd. Yes, I get that there are fans of other teams in the area. I have many friends who follow teams from other cities. I know lots of Dallas Cowboys, Pittsburgh Steelers, and yes even many Giants fans. What I found in this Deptford Walmart was at least 50 different product offerings for New York teams, 90% of it Giants, 8% Yankees, and a small number of Jets items. As I mentioned, it was in a large 15 ft wide portion of the Holiday section. So I made a video. A live stream video. Primarily to show how MUCH New York merchandise was in the store. While I did use “Damn New York” in the title of the live stream, this wasn’t a bashing on other teams. It was a retail business oriented post about Walmart not knowing their market, or at least giving local managers the ability to specify the products their store needs. Honestly, if I had found offerings from the Cowboys, Steelers, Patriots and other popular teams, I would not have made the video. That would’ve been an indication they were trying to cater to a variety of fans… which I don’t believe to be the case considering it was ALL New York. 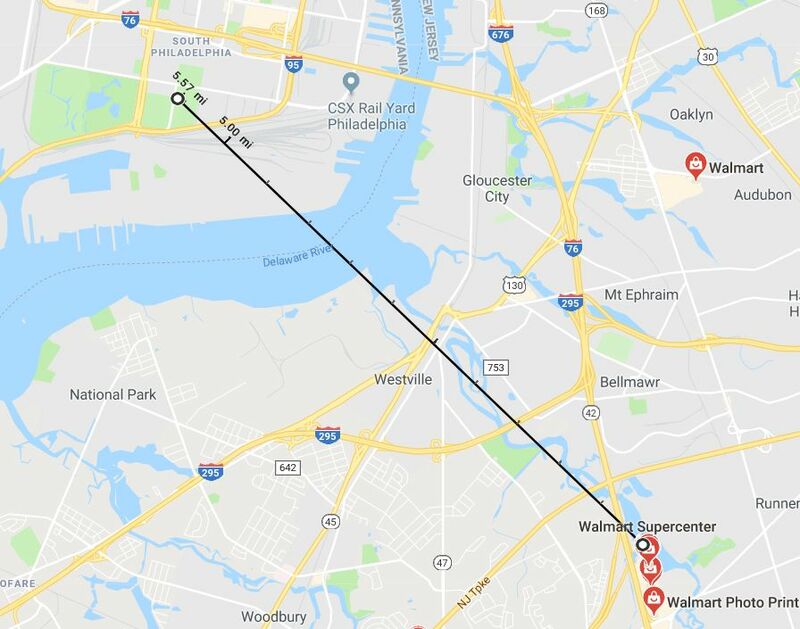 In the Facebook Video (link below) I mention that the Eagles are a top Superbowl contender, and Deptford is 5 miles from their stadium.. its Philly turf here. And I go through the store products. I’ve seen this many times before over the years where there is an odd amount of NY items in our deep Southern New Jersey stores, but I had never seen THIS much! Comments from several on video said there was Philly merchandise in the next aisle. I saw those comments while I was still in the store, and looked at all 10 rows of adjacent holiday items, and there was none. Not one Eagles ornament, no Phillies cups, no Flyers shot glasses. I even walked the garden holiday section, and the area over by the greeting cards. Nothing. So maybe every single Philadelphia team item sold out? Even if that were possible, its still strange to see so much merchandise from a divisional rival. Honestly, if you visited any other NFL city and went to a Walmart 5 miles from the Stadium… would you expect to find 60 products from one of the cities divisional rivals, and none for your own? (Well, other than cities where they are very close together). There are 3 Walmarts within 5 miles of Lambeau Field Green Bay… do they carry 60 different Christmas products for the Chicago Bears? 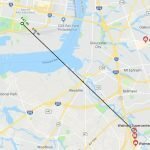 There is a Walmart in Kearny NJ, five miles from Met Life Stadium… do they carry 15 feet (shelf space) of Philadelphia Eagles merchandise? And let’s remember, Philadelphia isn’t a small market. It’s the 5th largest city in the country. It can support its own merchandise! Computer Brains, and more local purchasing power? Or just the Giants product isn’t moving? So what I had left out of the video, I have theories of why this happened (and happens over and over). 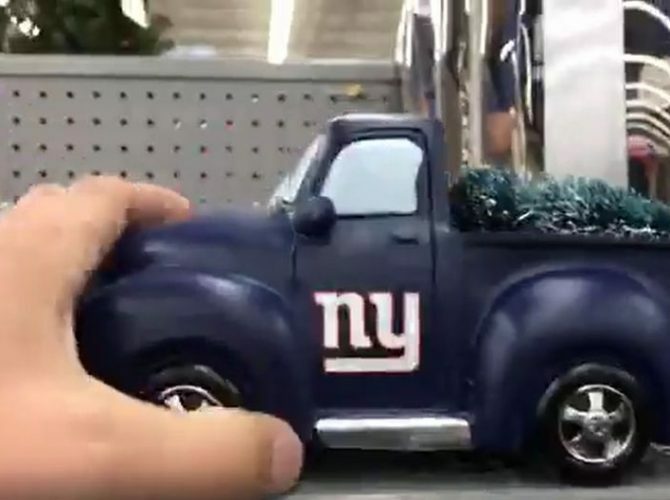 1) Well first, a commenter pointed out that with the Giants not having a great season, could it simply be that there is a ton of unsold Giants merchandise everywhere, so Walmart is being smart to push it down into South Jersey so that they can hopefully unload it? But for some reason, maybe Walmart has a problem with that in New Jersey. I spent 13 years working for a commercial office products company who was then purchased by Office Depot. I saw a lot of crazy things during that time, in regards to Office Depot learning our new (to them) way of business. They didn’t handle seasonal products like calendars well and left us with no inventory of calendars heading into the new year. They ordered us 30 trucks for deliveries that did not have lift gates to support pallets, even though our larger customers ordered pallets of paper at a time. I also now develop software for a financial firm and we need to be in tune with the traders, and develop systems that respond to changes in milliseconds. And that is why seeing Giants merchandise 5 miles from the Eagles stadium drives me nuts. Because there are area easy common sense business solutions to the problem. Man.. I am really rambling here! Honestly, I love and enjoy sports, but I am not that big of a fan. I really don’t care if someone is a Giants fan, or a Cowboys fan. We may have some fun with each other, but honestly… we all have more important things to worry about. Like merchandise in Walmart! But you can’t take away the fervor that the Philadelphia fans have for their teams, and especially the Eagles. There are multiple articles and situations of national media calling out the Philly fans for their intense following. Today the Eagles play in Los Angeles, and the Rams coach is preparing his team for a silent count because he fully expects the Eagles fans to fly 2,500 miles, fill his home LA stadium, and be so loud it will be like a Philadelphia home game! The coach expects this, because it happened in San Diego earlier this year, and that wasn’t even as important of a game. This week Mario Lemieux, legendary player and owner of the Pittsburgh Penguins, said that the toughest place to play in his career was in Philadelphia! San Diego and Los Angeles are just a small handful of the scenarios. From my own experiences, in 2003 I was part of the large group of Eagles fans who took over Miami in December. It was amazing! There were so many Eagles fans there, that “Tailgate Russ” held a BBQ and Beer party for thousands of Eagles fans in Miami. Philadelphia owned that town for a weekend. And come February, I can bet the Flyers fans take over the Las Vegas arena to see the Flyers take on the new Golden Knights Vegas NHL team. So Walmart, do yourself a favor and look at your South Jersey stores and associate them properly to the Philadelphia teams. 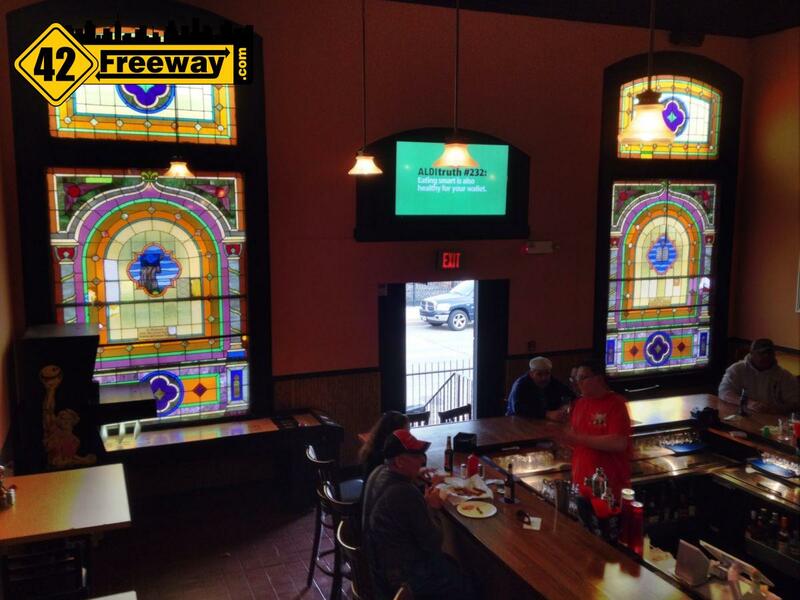 If you want to throw a smattering of Giants, Yankees, Cowboys and Steelers products in the mix… absolutely do it! Its the smart thing to do! But your sales would be better if you were higher on the Philly products and less on the Giants. And good luck today Eagles in Los Angeles! Facebook video below. Video is “Public” but it may require a Facebook account. I’m sure if you go to a Walmart in NY,Dallas and other city’s you’ll see Philadelphia stuff too.Eagles have a big following too as you will see at today’s game. And as I say in the commentary, if it were simply about offering variety why is there not one product from the Cowboys, Steelers, Packers, Patriots? Not one. What I do know is no Super Bowl for Eagles this season. Maybe, just maybe all the Eagles stuff is sold out to the real fans who shop early in the season! There had been no Eagles product. I was present when they stocked the shelves several weeks ago. Close… I can see them through the woods. I guess its Garden City between Willow Ridge and Heritage Woods. We paid the same as those nice developments, but went with LARGE property and smaller/older house. Not sure if that was the right move. ha. No I go pass Willow Ridge on my way to Seven Star.The reason I asked is I see the land on both sides of the street going in to Willow Ridge is for sale. 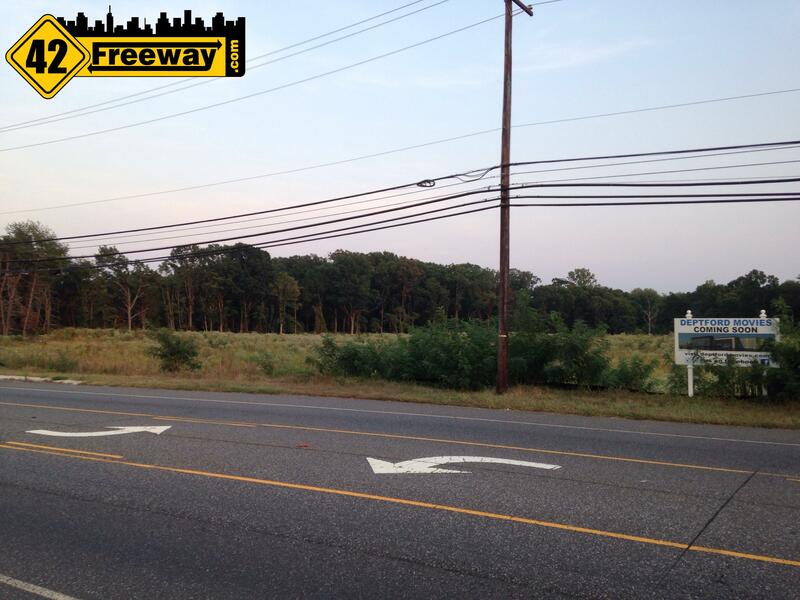 I know it’s been up for sale for some time,Four acers each.You know it will sell one day and the people in W-R will not be happy looking at the back of a strip mall.Also I was in the Wawa on 41 and the guy told me Wawa did not buy the gas station and car wash.
Royal Farms opens tomorrow (Fri.) in Bellmawr! Really? Wow didn’t expect that. I will be stopping in, in the morning. 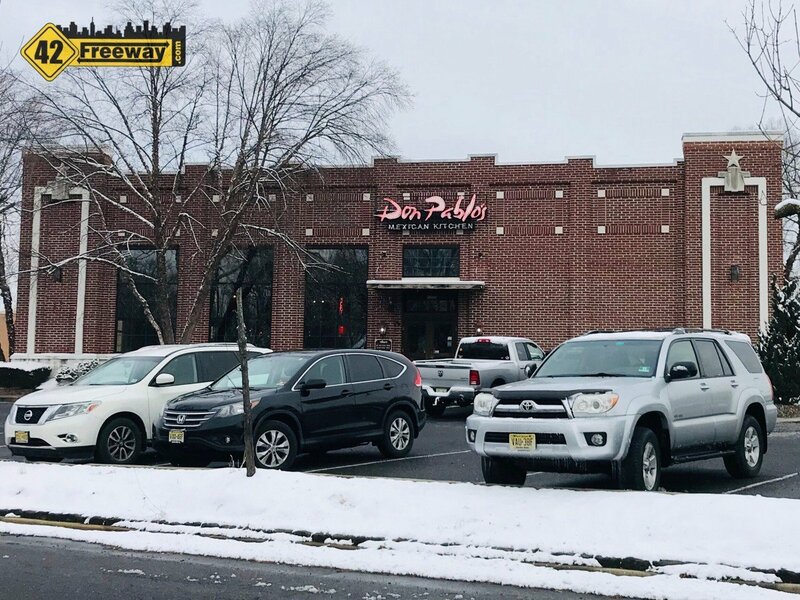 previous post: Chick-Fil-A Planned for Barrington NJ’s White Horse Pike. Chicken Challengers!